NYC is Blue: The Third Rail Wants YOU! 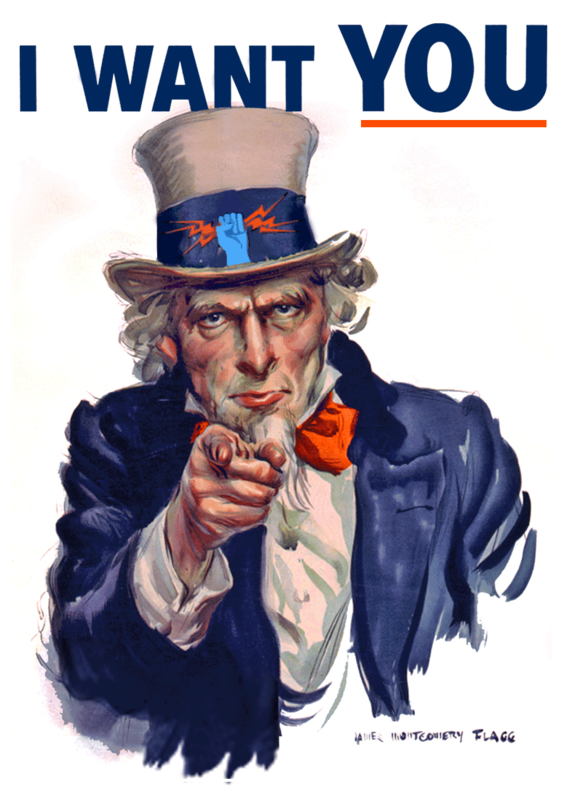 The Third Rail Wants YOU! One of the questions we hear most frequently is "How can I get more involved with the Third Rail?" Right now, we have some fantastic opportunities to do just that. There are currently four openings on our Board of Directors, and we would like to fill them in the next month. The Treasurer is responsible for recommending financial policies and procedures which promote and maintain the fiscal stability of the Corporation. This involves coordinating with other directors in support of their activities and developing their annual budgets, tracking/recording all cash receipts and disbursements as well as other financial records, developing the overall budget, overseeing charitable fundraising activities; provides monthly income/expense reports as per our bylaws and working with tax advisor to prepare our annual filings. A background in accounting or a related field, as well as familiarity with the appropriate software, is preferred. The Director of Communications develops a comprehensive communications and marketing strategy for the Third Rail, working with our Board of Directors and any external public relations entities to ensure all public statements advance that strategy. The Director of Merchandising coordinates the design, production and sale of merchandise, developing new product lines and revenue streams. He or she must work closely with the Treasurer on regular financial accounting. Our Gameday Director designs (in consultation with the rest of the Board) and executes a plan for the in-stadium experience. This includes recruiting and coordinating teams of artists craftspersons, and volunteers for our tifo displays. He or she will also help develop a repository of songs, chants and slogans created by our members and disseminate them as needed. These positions are open to anyone 18 and over who is able to attend monthly meetings in Manhattan as well as home games at Yankee Stadium next year. If you are interested in any of these positions, please send an email to ThirdRailNYC@gmail.com. Include your resume with any related experience, along with a short description of how you feel these skills would assist you in the position and any ideas you have for it. Applications are due by 5:00 pm on Wednesday, September 10. We will start interviewing shortly after that.